Rose Polenzani was born in the midwest to a musical family, learning harmony at her parents’ knee, hiding out under the family piano; She was always surrounded by music. She began writing songs in college, and left school to start her life as a singer-songwriter. She was discovered by Amy Ray of the Indigo Girls, signed to Ray’s Daemon Records for two releases, and spent a decade touring the US, supporting such acts as the Indigo Girls, Over the Rhine, Joan Baez, David Gray, and Freedy Johnston. 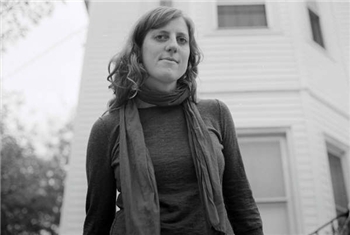 Though she started as a solo act, collaboration has become the driving force behind her songwriting, as evidenced by her recent work in Wintery Songs in Eleventy Part Harmony, the Sub Rosa collective, and her lush, live-in-studio recordings “The Rabbit” (2011) and “When the River Meets the Sea” (2006).